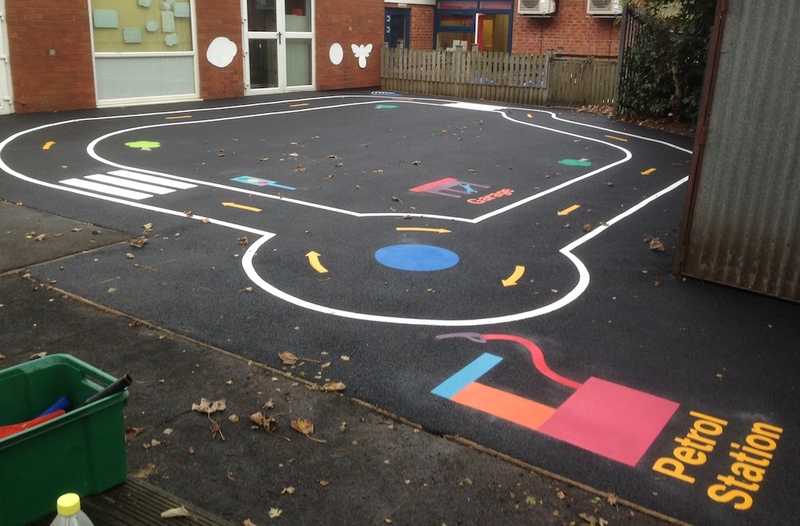 first4playgrounds design and install many bike and cart tracks for infant and primary schools throughout the UK. 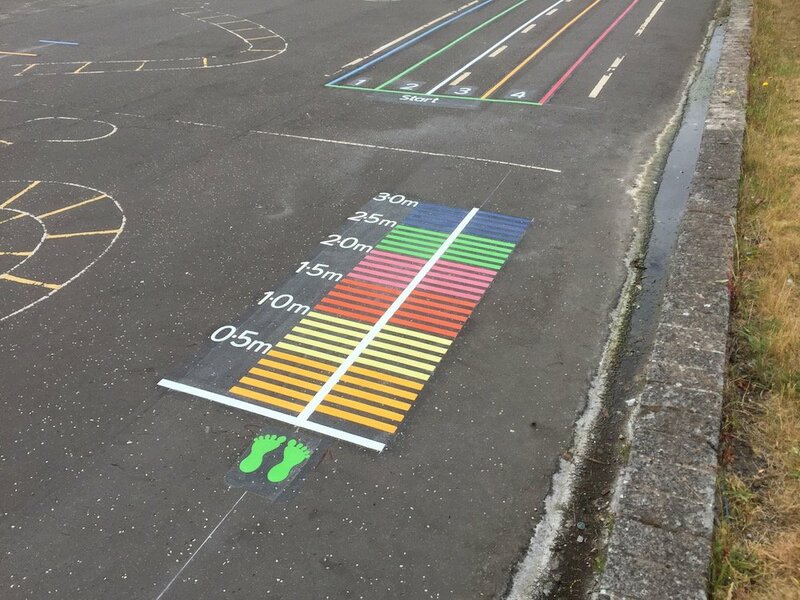 Tracks are priced at £7.50 per metre to include the dashed lines. 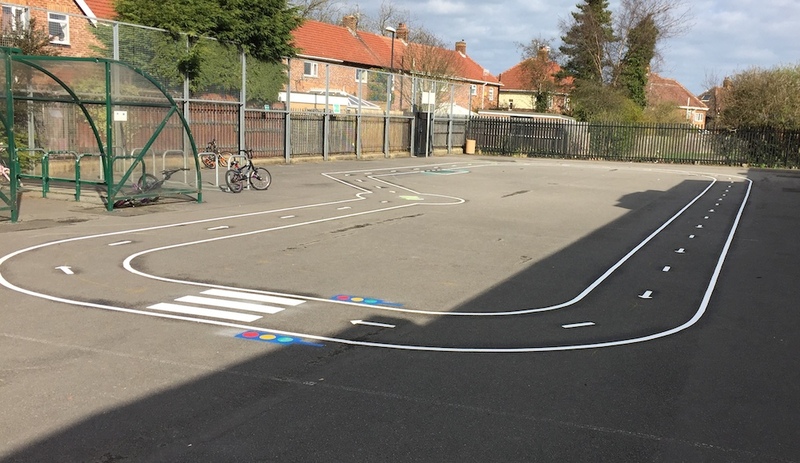 Individual items added are priced separately allowing schools to build up their own specific design for their track. 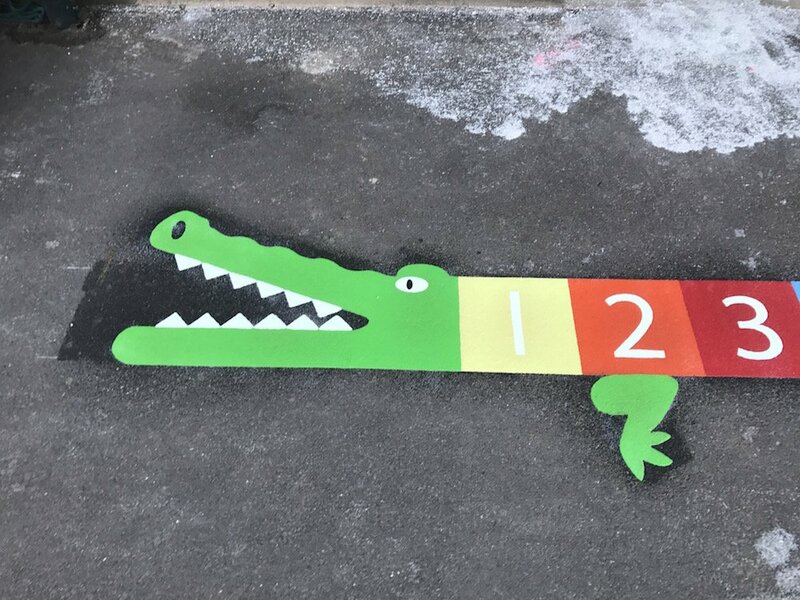 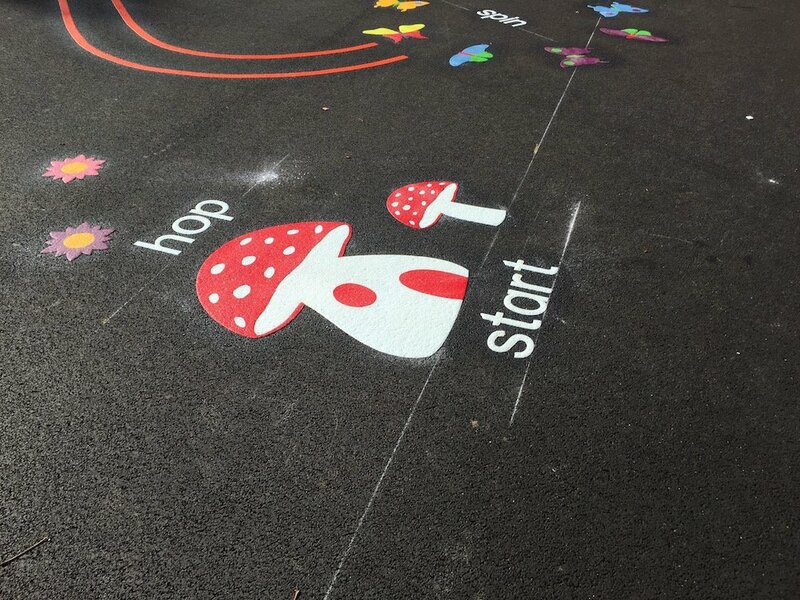 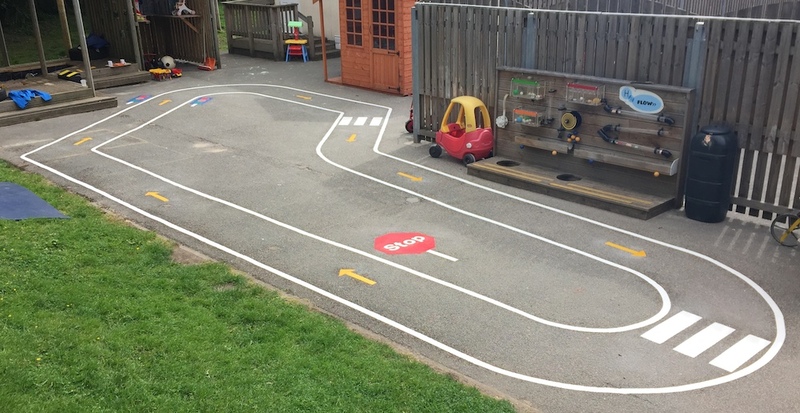 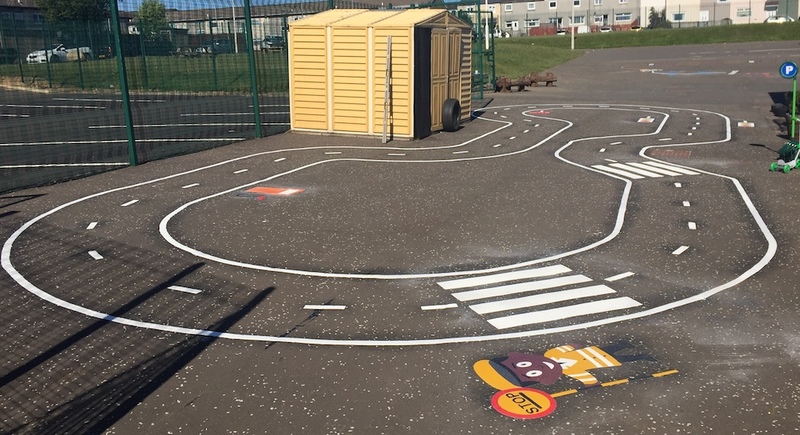 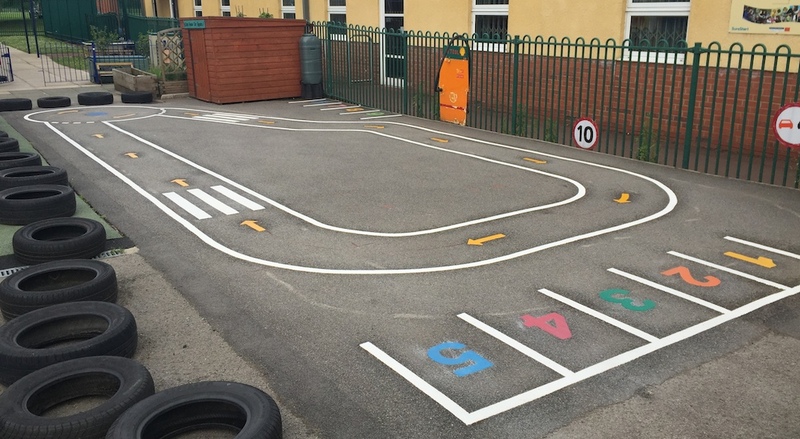 Walton Primary School in Northumberland wanted us to relay an existing bike track and add some road safety learning aids such as STOP sign and Zebra crossing. 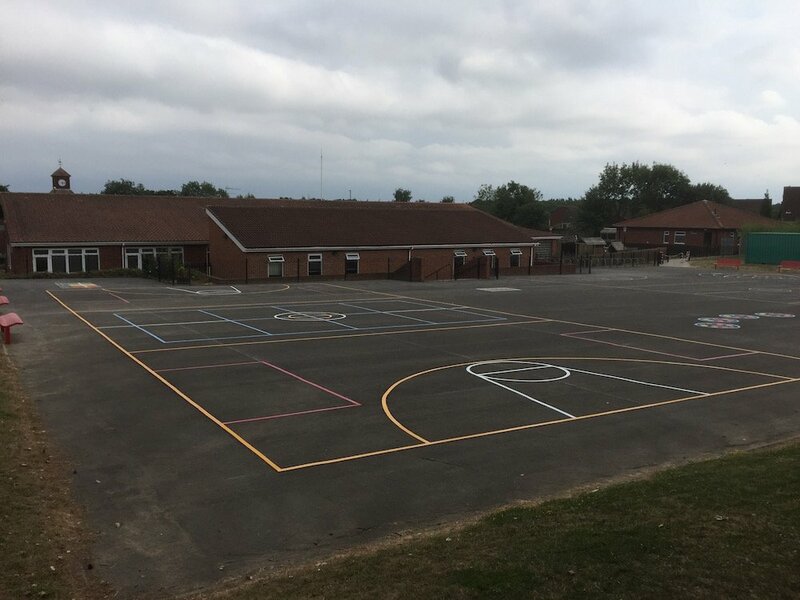 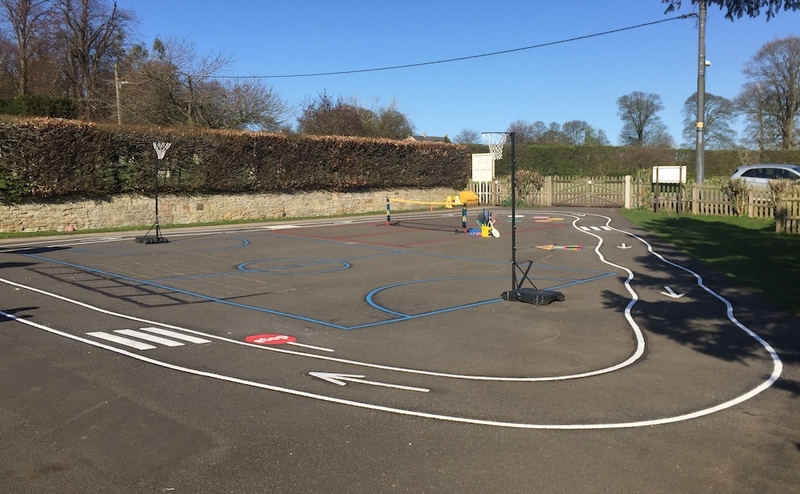 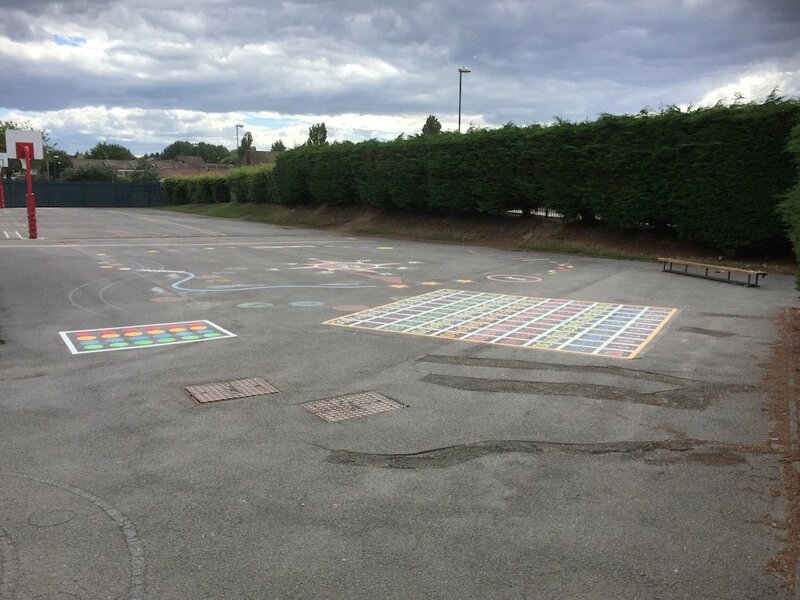 We also filled the middle area with playground games and sports court markings. 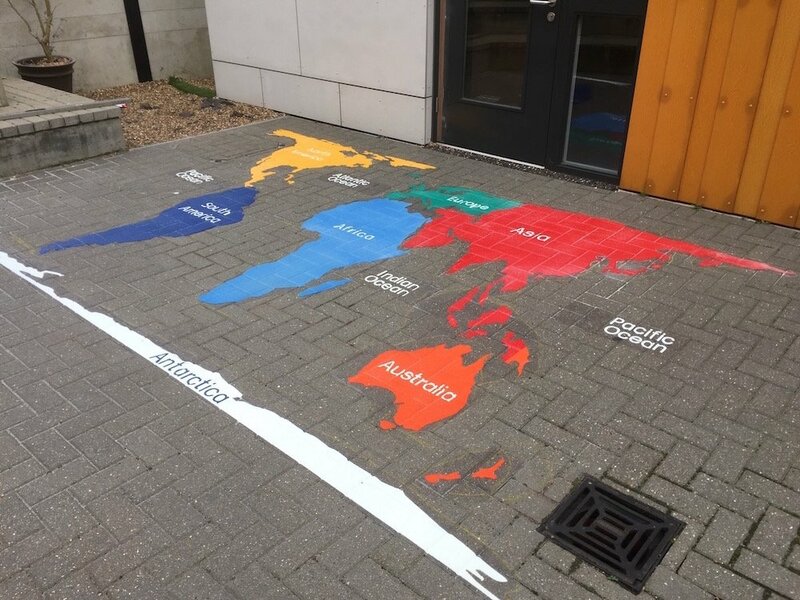 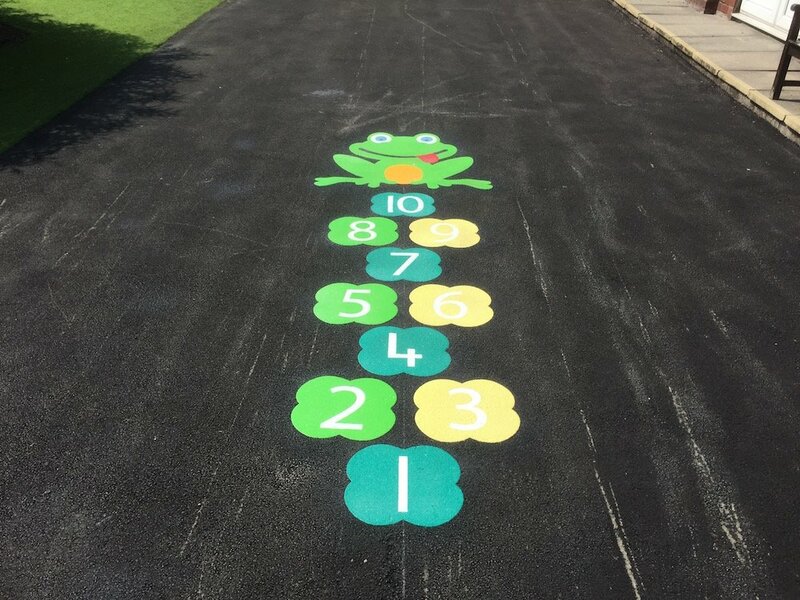 Each track is individually designed with the school to ensure that every track meets the school’s requirements and budget.